Thinking about baby sleep training and not really sure if it’ll work? Every week we feature a mama & baby who, after sleep training with the Baby Sleep Trainer are thriving with more sleep and less stress! Pearson Alspach, mother to Walker, sleep trained with me when baby was 4 months old. Here is their story….. I sleep trained my older child, but not until 8 months, and I knew that is was possible to do it earlier and actually and best for the whole family. 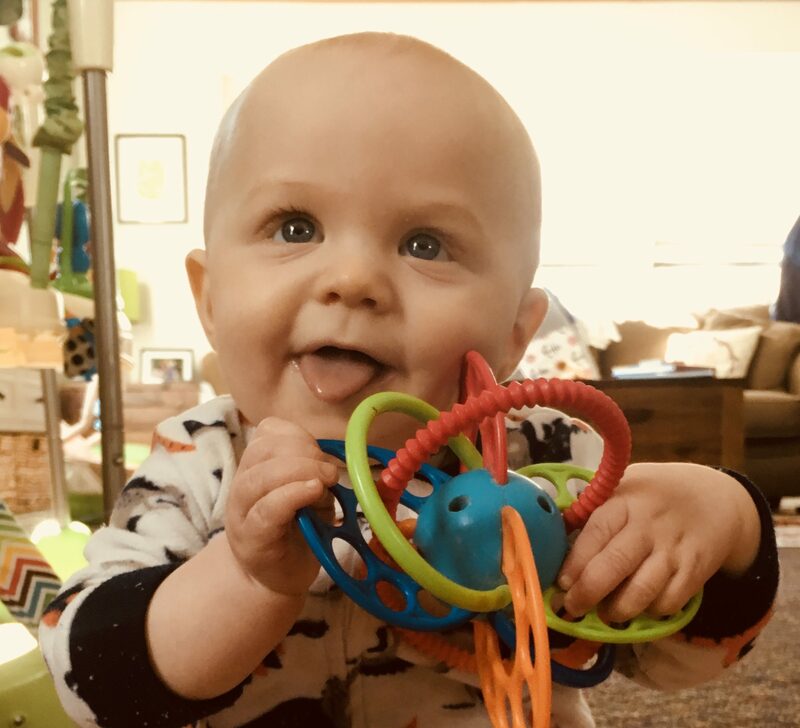 I was also only getting 3-5 hour stretches of sleep and headed down the same path of replacing a pacifier all of the time, which is what I did with my first son. I was not going down that road again. Getting through the first few nights and hearing some crying was definitely my biggest fear. It was much harder for my husband, so having another support system (Natalie) was imperative for me to have reassurance and not fight with my husband at 2 a.m.
Walker slept sporadically, not consistently, short stints of time with the every so often longer stint that makes you think something has happened, but really it is all just a coincidence and unless you sleep train, it won’t be consistent. I put Walker down entirely awake at 7 p.m. and he is in his crib until 6:30 a.m. Occasionally, he is up earlier, but really just talks to himself until it is time. With two children who sleep so well, it is hard for me to say anything negative or even hard about the experience. But some of the harder times were keeping a tired baby awake and listening to some crying. My fussy baby turned into an easy-going, talkative, smiley baby which led to a happy mom and so much love Walker. 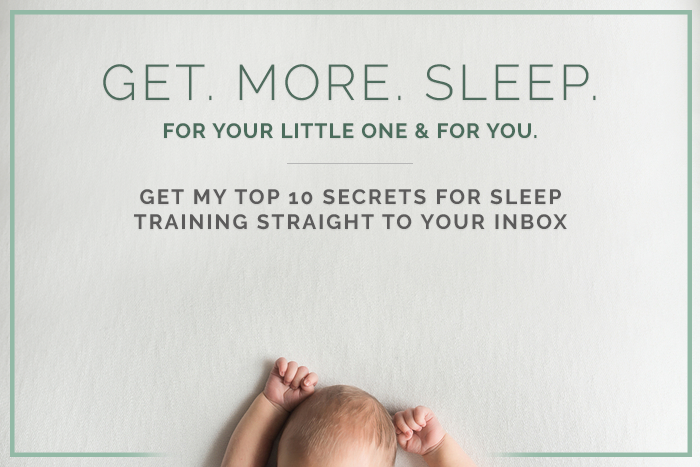 Sleep training is the healthiest thing you can do for your family. You can’t live without sleep and living with little sleep is unhealthy for everyone. When I get messages from moms about my experience, they are about to go crazy and I am so sad they had to get to that point. Hands down, the biggest piece of advice I have for all moms. Using Natalie was some of the best money I have ever spent. I would encourage the person to rethink that comment and consider a household with a well-rested mother and father. Their focus level to care for their child increases with more sleep and their child is more ready to develop and learn throughout the day having had a good night sleep. What’s more selfish? Allowing your kids to dictate his/her sleep schedule or giving him/her the gift of sleep. 3 nights for the night time and about 2 weeks for naps, although I had questions, probably a month into the schedule because Walker was 4 months and consolidating the day time sleep happen more developmentally with a 6 month old. I would and recommended BST to every mom I know and have been sort of labeled the sleep lady in my town. Being a mom is hard and awesome at the same time and what makes it so hard especially in the beginning is exhaustion. If you can cut that part out, imagine what an in tune mom you could be and actually focus on playing with your kids as opposed to thinking about when you can sleep again or drinking all of the coffee. It allows you to enjoy the precious moments as opposed to resenting them because you are tired which is a normal exhausted reaction. I know some people need more sleep than others, but I am one who thrives off more! My children are in bed by 7:30 p.m. and my husband and I can talk. My little one naps so well in the mornings that my older son and I can have quality one-on-one time. There is really no downside in my mind to having rested children.